Daniel Island’s geographic location between the Wando and Cooper Rivers placed it in the middle of the action during Charleston’s colonial period. South Carolinians will tell you that the patriot victories in our state are what led to the British surrender. Some of this fighting took place only a short distance from our backyards. The geography of Daniel Island somewhat limited the island’s greater role in the conflicts of the Revolutionary War, but nonetheless, we did have nearby skirmishes that involved several high profile leaders on both sides during the American Revolution. The British failed their first attempt at capturing Charleston in 1776, leaving the city alone for four years. They refocused their efforts on New England and the Mid-Atlantic. Several years of frustrating battles for the British in the north prompted a renewed strategy ,which included a second attempt at capturing Charleston. Part of this strategy relied upon the British hopes of capitalizing on the many Loyalists living in the south, especially in South Carolina’s backcountry. In 1780, employing a different approach, the second attack by the British on the City of Charleston was a success, enabling them to occupy South Carolina until the end of the American Revolution. Charleston became a point of entry into the backcountry of South Carolina, and Daniel Island’s location along the Cooper and Wando rivers placed us at a crossroads. Over 100 conflicts took place in the short period of time the British occupied South Carolina. Two such skirmishes took place along the Wando River just upstream from Daniel Island. The first of two skirmishes took place on April 20, 1780 at a river crossing called Miller’s Bridge, over a tributary of the Wando River. In early April, Loyalists started construction of a “block house”, built most likely of wood, near Miller’s Bridge. 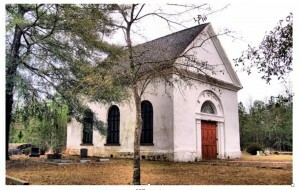 This location is thought to be on the east bank of the Wando River near present day Rivertowne. The block house was designed to secure the bridge in the event of an attack. A loyalist lieutenant, Anthony Allaire, was stationed at the bridge. He noted in his diary dated Thursday 20th, “Col. Tarleton surprised and took nine sloops with goods, stores, etc., and twenty pieces of cannon.” This attack occurred after Tarleton and his men were returning from a skirmish in Mt. Pleasant near current day Hobcaw. 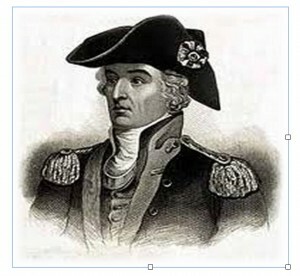 The Colonel Tarleton that Anthony Allaire was referring to was a notorious British soldier that had essentially turned the loyalist sentiment in the backcountry of South Carolina into patriots through his merciless attacks on settlers, turning the tide of the war in South Carolina. The journals of Anthony Allaire point to evidence that Tarleton spent time in the greater Charleston area before and after his forays into the backcountry. Several days after the skirmish at Miller’s Bridge, Anthony Allaire linked with additional regiments at St. Thomas and St Denis Church, located near present-day Cainhoy, as they prepared for a more intense fight in Mt. Pleasant. Here they were joined by Lord Cornwallis, the British general in charge of the southern campaign and one of the highest ranking British soldiers in the South at the time. The second skirmish took place on February 5, 1781 at Wando Landing, located approximately in the current day area of the Route 41 bridge. There the infamous Swamp Fox, Francis Marion, engaged British soldiers. Brigadier General Francis Marion is legendary in the Lowcountry for his hit and run tactics, which were a menace to the British. 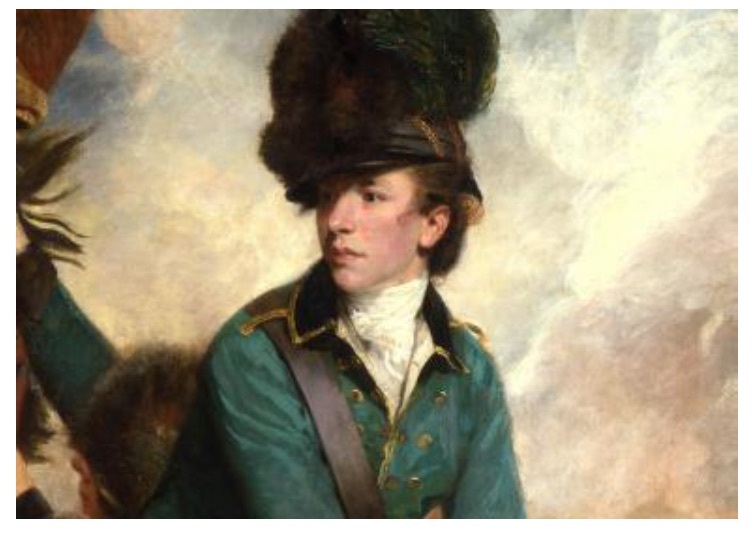 As legend would have it, the aforementioned Banastre Tarleton gave Marion his nickname, “The Swamp Fox”, when chasing after him. Unable to catch Marion and his men after a seven hour chase, he stated, “As for this damned old fox, the Devil himself could not catch him.” At the skirmish of Wando Landing, Francis Marion was on his way to Fort Dorchester from the Pee Dee area of South Carolina. He was heading to the fort to support existing troops stationed in the area. In route to the fort, Marion ran across a detachment of British soldiers. He led an attack capturing 30 British soldiers and took them as prisoners. Before continuing on to Fort Dorchester, his men destroyed the British provisions and headquarters. This was typical of Marion’s method of fighting, engaging with a small number of troops and quickly moving on to the next target. These two events are a reminder of the critical role that South Carolina played in the final months of the American Revolution. Our rich history is all around us and if you dig deep enough, figuratively and literally, you will find how truly blessed we are to live in a community that is surrounded by events that led to the birth of our great country. St. Thomas and St. Denis Church – meeting place for Anthony Allaire and his troops. Located on Cainhoy Road, it is still an active parish today. The infamous Francis Marion – “The Swamp Fox” (above). British leader Banastre Tarleton – sometimes known as “Bloody Ban” or “The Butcher” (above).